Electrical contacts are used in all electronic devices engineered and manufactured today - thermostats, stoves, washing machines, heaters, circuit breakers just to name a few. They can be found in electrical switches, relays and breakers. Electrical contacts are installed in moving and permanent components in many technological devices, such as automotive and aerospace components, high- and low-power contact joins, sliding and breaking contacts, and electro-mechanical systems. Braunović defines electrical contact as a the interface between the current-carrying members of electrical or electronic devices that assure connectivity of electric circuit. A sample is removed for assaying, which is the process of measuring the silver content. 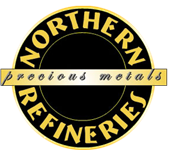 Assaying is critical for assuring customers who sell us their materials for silver refining that we fairly compensate our customers. For maximum accuracy, we use the Fire Assay and Inductively Coupled Plasma (ICP) Spectrometry methods. The X-ray fluorescence (XRF) method may also be used as needed. 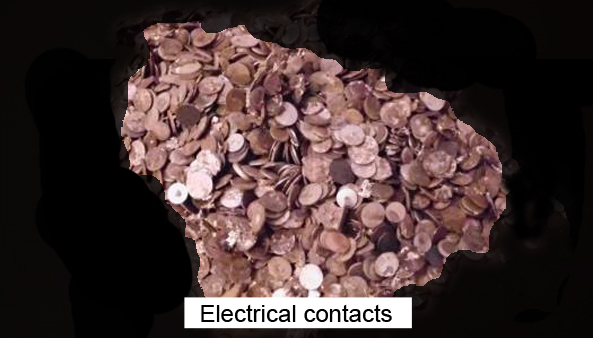 Both electrical and mechanical wear contribute to the loss of contact material. 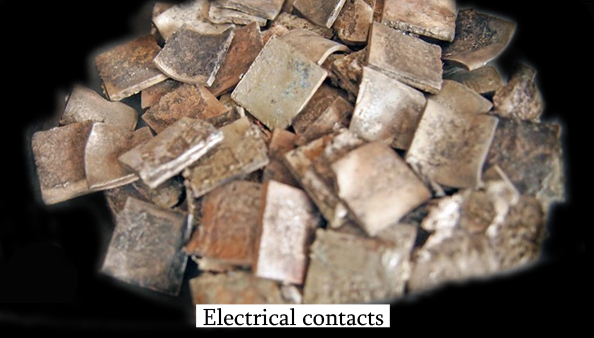 In order to increase the corrosion resistance and lifetime of electrical contacts, manufacturers use precious and semi-precious metal alloys. Silver, fine grained silver, mixes of silver with nickel, iron graphite, cadmium oxide, and tin oxide are used in the electrical contact manufacturing. In order to ensure proper working conditions of electrical contacts they need to be replaced regularly as both electrical and mechanical wear occurs. Each device how has its own manufacturer-recommended maintenance schedule. Instead of disposing of worn-out electrical contact – collect and recycle them! In order to recycle scrap electrical contacts you need to remove them first. Look for button-looking, shiny, circular object like the one in the picture below. Using a pair of vise grips heat the back of the contact until the silver solder melts and drop the silver contact into a bucket of water. Collect a minimum of 15 lbs. before sending it to the refinery.